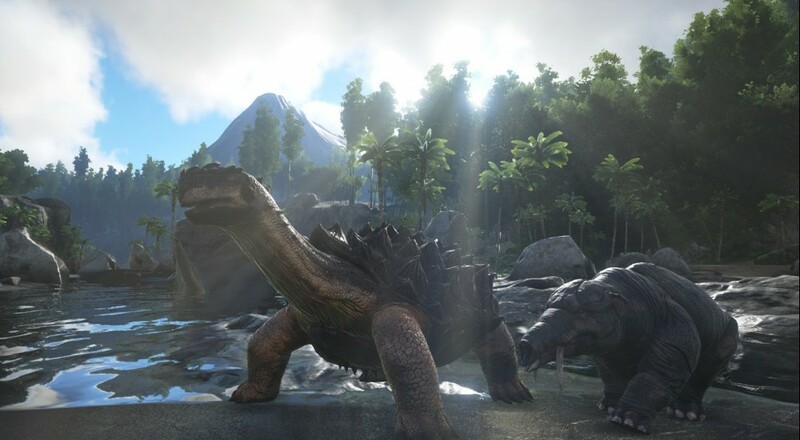 Originally slated for a summer release, the game has been pushed back, according to the developer, due to all the features and dinosaurs the developer that have been added (and the more that are in the works). Of course, this news also comes after Studio Wildcard and Trendy Entertainment (the developers behind Dungeon Defenders) reached a $40 million settlement in a lawsuit filed by Trendy as they contended that a former employee - Jeremy Stieglitz - was in breach of his contract and working on ARK in secret. Stieglitz was also, according to the suit, attempting to hire Trendy employees out from under the studio in order to come work at Studio Wildcard. Settlements of that size usually indicate there's some truth to the claims by Trendy and no doubt all of this has had an impact on the development of the game. Studio Wildcard, however, is pushing along towards the game's release and even releasing the free multiplayer-only version, ARK: Survival of the Fittest, on the PlayStation 4 this summer. As a quick note for fans of the site, ARK: Survival of the Fittest is focused entirely on multiplayer and thus does not meet our co-op definition.